How to Find the Best Quality Sticker Printing in Melbourne? Stickers can be a huge asset to your business, whether you’re putting the ingredients on homemade jam, or sizes on jeans. They can convey important information quickly and concisely to your customers. For that reason, it’s incredibly important that you choose the best quality sticker printing in Melbourne – that’s what will make your business stand out from the crowd. But how do you know who to use? This list will take the guess work out of it. This may seem obvious to some, but checking online is the only place to start these days. You’ll have the vast majority of business, right at your fingertips – and all competing for your attention. This way you can quickly and easily compare prices, shapes, and design options. Thanks to the internet, most companies are quick and prompt to reply, which means you can ask any questions before you commit to their services, and continue to shop around if you don’t like the answers that you get. Whether or not you prefer to buy in person, begin by looking online, and you’ll get an accurate representation of what is available and where. You might think you need to spend all your time checking what services are being offered, and what other companies are doing, but that isn’t necessarily the case. We recommend starting by looking at your own needs. If you’re looking for a particular style or material – such as a long-lasting vinyl or fabric – then you should put that in your search criteria. That way you’ll eliminate all the sticker printers who don’t offer that product. Rather than spending days scouring the internet, you’ll be able to spend more time designing the perfect sticker for your business. Once again, this step is about assessing your own needs. Look at your budget and decide what that means for you. 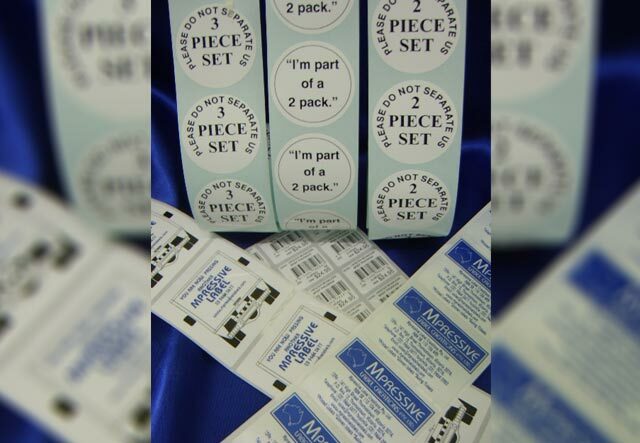 If you’re planning on using your stickers for something that won’t need to last too long, then you might be able to get away with using a cheaper option. If you want your stickers to make a statement about your company, then you may prefer to use quality sticker printing in Melbourne. This means you can use prices as an indication of quality, which will help you decide where you send your business. Go too cheap, and chances are you won’t be happy with the end product. Use a reputable custom printing company, and your stickers will stand out from the crowd. Once you’ve found a printing company that you like the look of, see if you can look at their previous work. That way you’ll get an idea for how your own stickers will turn out. You’ll also want to communicate with them on some platform, be it face-to-face, or via phone or email, to ensure that they truly understand what you’re looking for, and how important it is to your business. Hopefully this has helped you narrow down your list of potential printing companies. If you have any more questions, we’d love to help put your mind at ease. As one of the premier sticker and label creators in Melbourne, we know we can offer you exactly what you’re looking for – whatever the design.